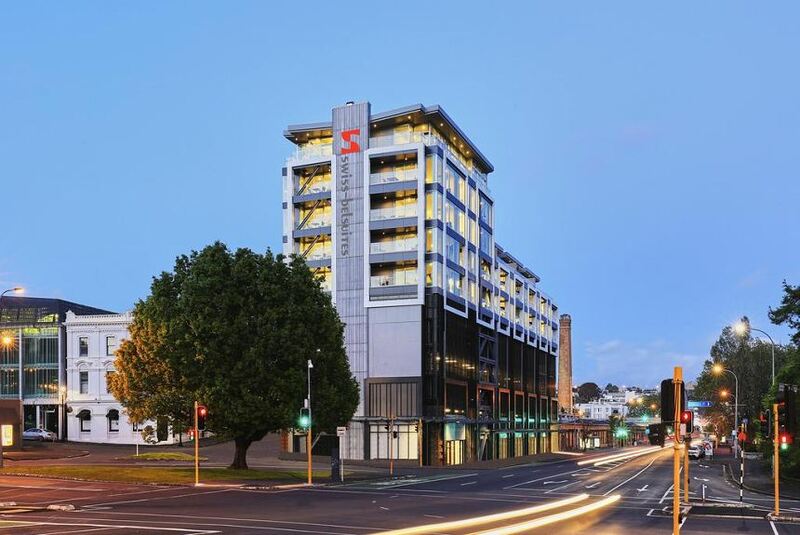 Swiss-Belsuites Victoria Park Auckland is centrally located to explore the shops, cafes and restaurants of Auckland City Central offering stylish and spacious 40 luxury suites starting from 52 square meters. The suite interiors reflect a natural spaciousness and provide exceptional standards of comfort and style. Each suite features a fully equipped kitchen and air-conditioning, perfect for business and leisure travellers, individuals, couples or families looking for quality accommodation and a memorable experience in Auckland. Each suite features a lounge area with a flat-screen TV and satellite channels. The property boasts free premium unlimited WiFi and 24-hour front desk. Guests can access the off-site fitness centre, for a small additional charge.